This MP3 file is from the album Ephemeral densities / re-sound. Duration: 7 mins, 11 sec. 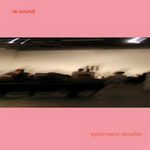 CD: Ephemeral densities / re-sound.